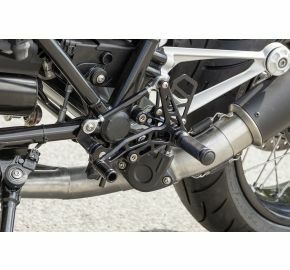 The LSL rearsets are inspired by the engineering that is used in high strength bridge design. 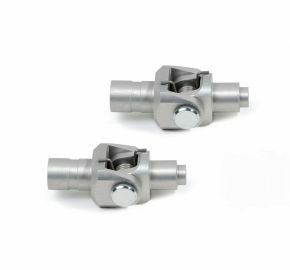 By using this design on every single part of the rearset we are able to build rearsets that are very strong, yet super light and look extremely good as an extra benefit. Shift and Brake levers are manufactured from a high strength aluminum and due to their design they are very precise to operate. 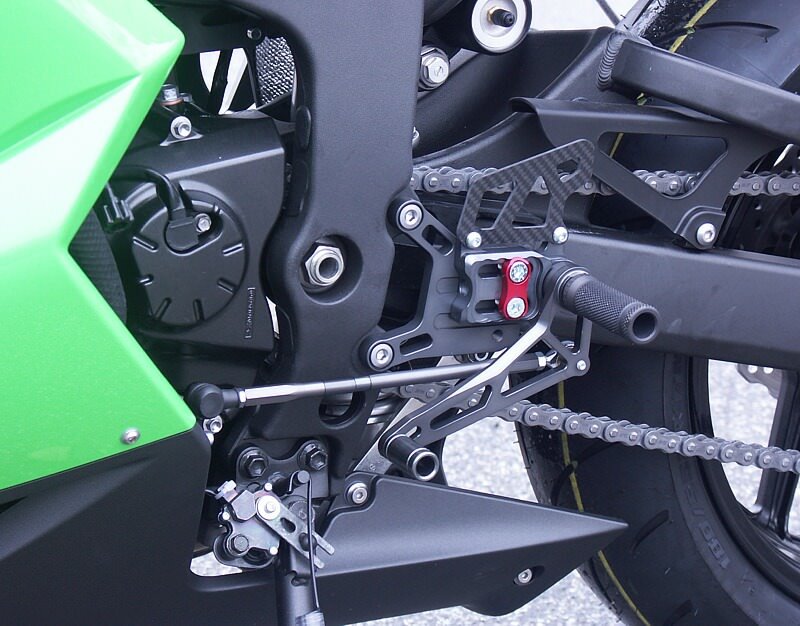 PTFE bushings are used for the shift lever and brake lever in order to prevent sloppy levers. 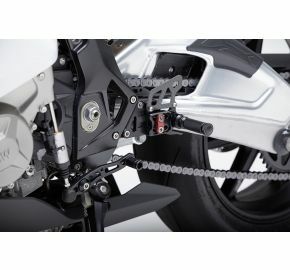 Every LSL rearset is clear anodized for weather protection; black anodized versions are available for selected models. 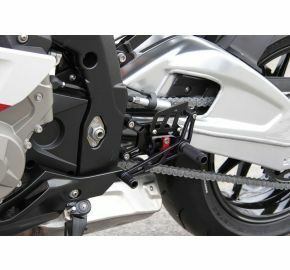 The standard version of the LSL rearset is clear anodized with solid mount foot pegs. 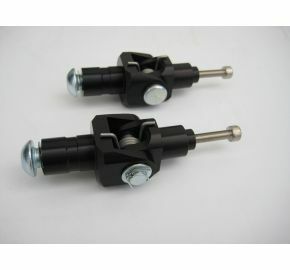 The supplied pegs are LSL racing foor pegs. We also supply passenger foot pegs in the same design and colors. 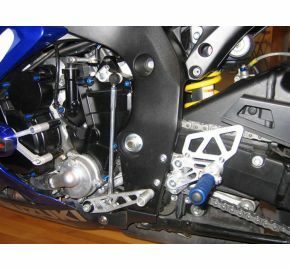 LSL was the first manufacturer to supply after-market rearsets with the option to order foldable pegs. Foldable pegs help to protect your rearset brackets in the event of a tip-over. Dual Slide, Adjustable rearsets - Our latest development started on the race track, we tested several styles of adjustable rearsets. After thorough testing we designed and further developed our High Tech product the 2SLIDE. The position of the pegs can be horizontally adjusted over 4 positions while the height can be adjusted in 2 positions by using the slides that also gave the name to this high tech product. The pegs are short and have a rough surface for extra grip. 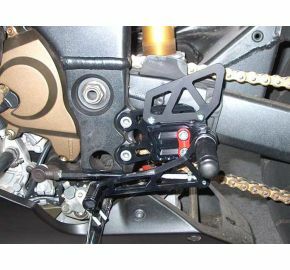 The brackets and levers are anodized in a black color while the "adjustment block" is anodized red to complement the plates. Range: Length, 30mm, 4 positions. Height, 22mm.